Illinois State students are back on campus this week for the start of fall classes. Greeting them this semester are several construction projects that recently wrapped up or will be soon. 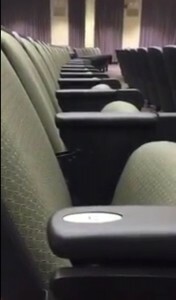 The new chairs inside the renovated Capen Auditorium. Students will find new seats, carpeting, and lighting when they step back inside Capen this week. Capen is Illinois State’s largest classroom, with seating for 700+ students on the second floor of Edwards Hall. The eight-month renovation was Capen’s first upgrade since 1991. Some classes were taught at the nearby Normal Theater during construction. During a recent visit, all the new lighting really made the room look bright and fresh. Also ready to go for fall classes is the new food science lab in Turner Hall. 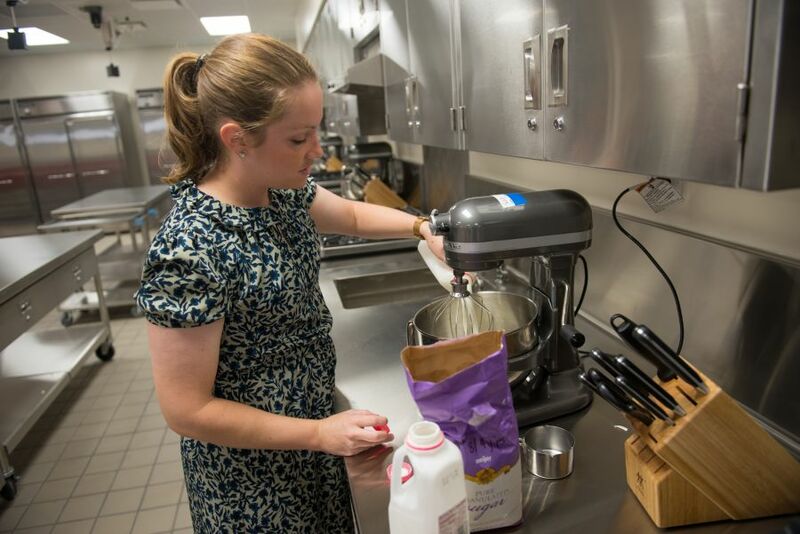 After an eight-month “gut remodel,” students and faculty in the Department of Family and Consumer Sciences will be using new commercial kitchen equipment, plus a new space for food science research. Assistant Professor Rachel Vollmer working in the Food Science Lab. The previous lab hadn’t been renovated since Turner opened in 1963, so its residential kitchen design was significantly outdated. The new lab features multiple student work stations and a state-of-the-art instructor work station all lined with brand-new, stainless-steel equipment. The space will better prepare students for food preparation, planning, and research in a larger commercial kitchen setting. “It was long overdue for a renovation and to bring the laboratory teaching space into the 21st century,” said Todd McLoda, senior associate dean for the College of Applied Science and Technology. 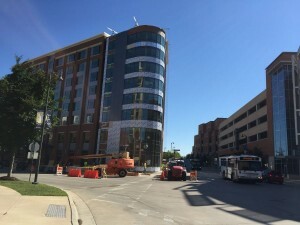 The new Hyatt Place hotel in Uptown Normal. The new Hyatt Place hotel is set to open this month in Uptown Normal, giving families and other Redbird visitors a new place to stay just a few steps from campus. Hyatt Place has 114 rooms and 2,400 square feet of meeting and event space. The hotel features spacious guestrooms, free Wi-Fi everywhere, the 24/7 Gallery Menu, Coffee to Cocktails Bar, and free hot breakfast for guests. After beginning construction in May 2014, the hotel’s grand opening is now set for September 10 in conjunction with the Town of Normal’s 150th anniversary celebration. “Hyatt Place looks forward to supporting the ISU community in ways that build long-term relationships, whether it is taking care of ISU guests at the hotel, giving back to the University and community, or supporting the students through creative partnerships,” said hotel spokeswoman Katie Lindler. The fenced-off South Campus complex. 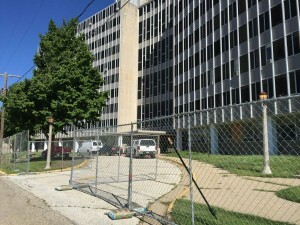 Students returning to campus can already see that the South Campus residence halls (Hamilton-Whitten and Atkin-Colby) have been fenced off as demolition work begins on the complex. But don’t expect to see a giant implosion one day and the buildings vanish. The halls, which along with Feeney Dining Center was decommissioned in summer 2012, will be taken down in pieces. 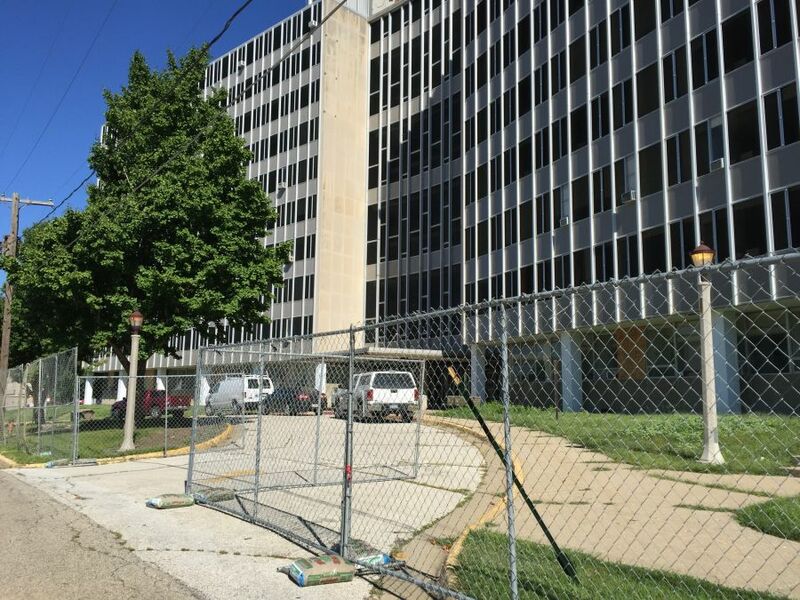 “Over the next school year, so between now and next July, the buildings will all come down,” said David Gill, director of Facilities Planning and Construction Management at Illinois State. F67, the big faculty/staff parking lot on School Street near Milner Library, is closed for resurfacing and the addition of new lights. The project should be wrapped up by September 30. Alternate parking for faculty/staff is available in the Bone Student Center pay lot and other nearby lots. Parking and Transportation has also implemented a few changes in the South University Garage and in surface lots throughout campus. See the full rundown in the faculty-staff newsletter Report.